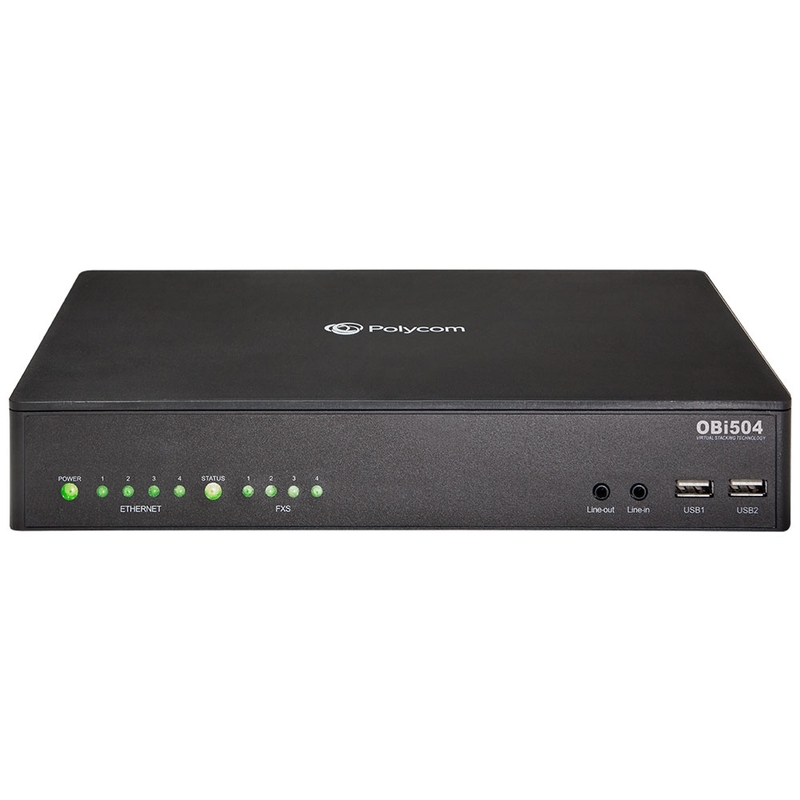 Polycom OBi504 is an analog telephone adapter built for the enterprise. Featuring 4 FXO ports for connecting multiple legacy devices, OBi504 also has Gigabit Ethernet speed, three USB 2.0 ports, and audio line-in and line-out ports. OBi504 supports the SIP protocol, giving you incredible interoperability with standards-based VoIP phone systems. The ATA also supports OBiTALK. 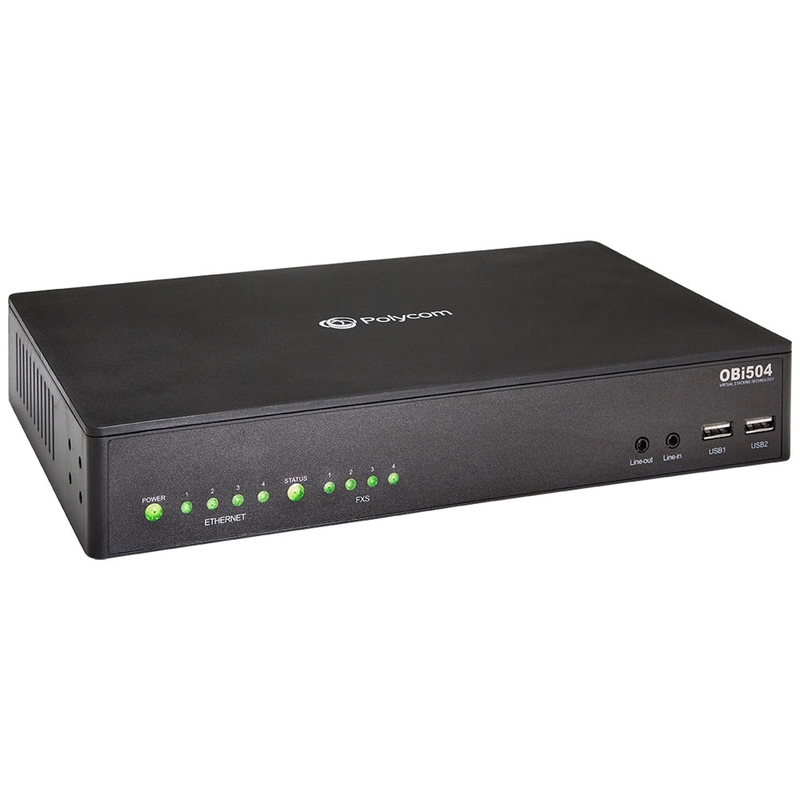 OBi504 makes it simple to bring analog phones into your IP network. It supports the T.38 Fax Over IP protocol for bring analog fax machines into the network, too. 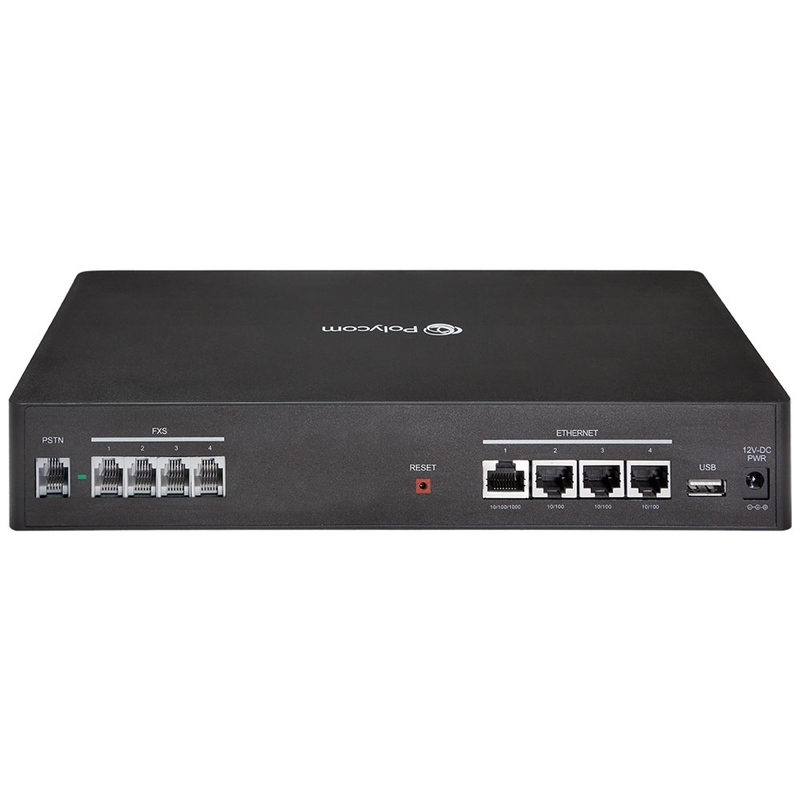 Bringing legacy equipment into your network simplifies management and improves potential features. Manage OBi504 using the intuitive web-based GUI. 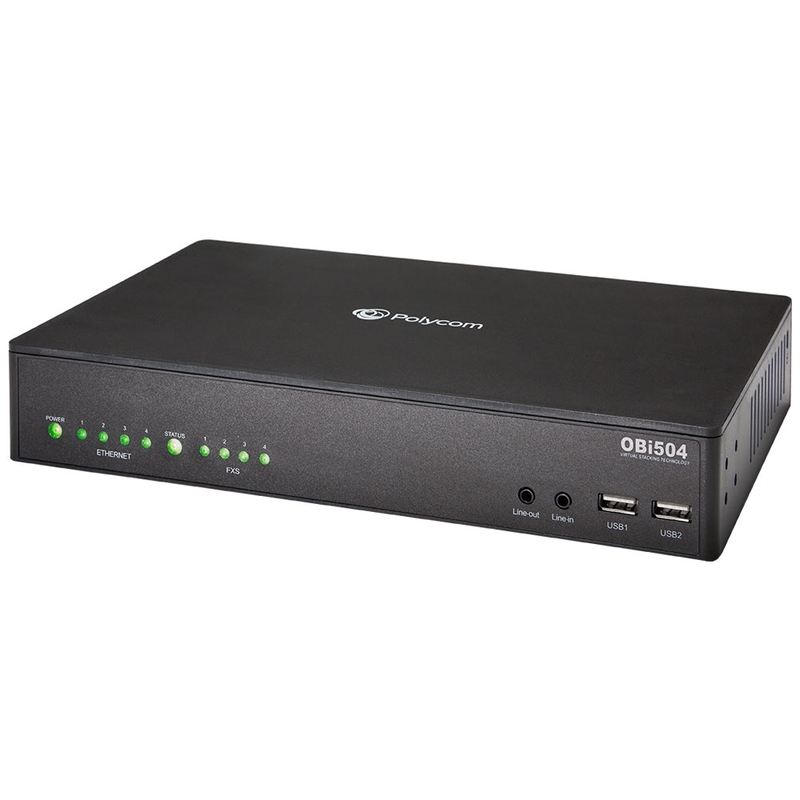 OBi504 can be mounted on the desktop, on a wall, or in the rack.